Obituary – Harak, Maxine Louise (Peitz) « Perry High School Alumni Association, Inc.
Mass of Christian Burial for Maxine Harak, age 87, of Marshall, will be 10:00 AM, Saturday, February 4, 2017 at St. Joseph Catholic Church, Hennessey, with Rev. Edward Menasco as celebrant. Recitation of the Rosary will be 7:00 PM, Friday evening, February 3, at St. Joseph Catholic Church. Burial will be in Calvary Cemetery, Hennessey under the direction of Anderson-Burris Funeral Home and Crematory. Maxine was born to William and Susan Clara (Rolling) Peitz, on June 29, 1929, in Perry, Oklahoma, and passed away on Monday, January 30, 2017, in Enid. Maxine grew up in Perry and graduated from Perry High School. 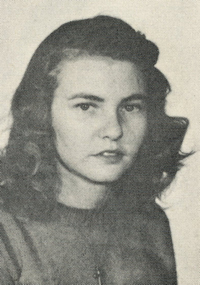 After graduation, she worked as a bookkeeper at the Oklahoma Highway Department, where she remained for 18 years. On April 11, 1964 she married Henry R. Harak, in Perry. They made their home in Marshall, where she was a loving wife, mother, and home maker. Maxine was the pianist and organist at St. Rose of Lima in Perry, St. Camillus in Marshall, and many other churches in the area. She worked for Cromwells in Enid in sales promotion. She loved to write and was a professional reader for historian Dr. Angie Debo. 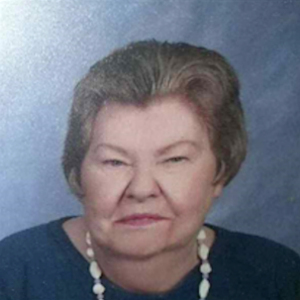 Maxine was a member of St. Joseph Catholic Church in Hennessey, where she was pianist and organist. Maxine is survived by her husband Henry Harak, children David & Paula Harak of Marshall, and Dale & Vicky Harak of Independence, Missouri, and 4 grandsons Ethan and wife, Lauren, Matthew, Evan, and Adam Harak. She is preceded in death by her parents, sister Marie Lambert, and brother Frank Peitz. Memorials may be made through the funeral home to OMRF Dementia Division.